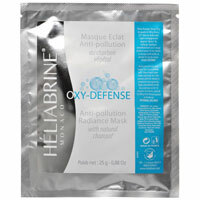 HELIABRINE Smoothing Green Tea Mask: From the first treatment, your skin is soft and recovers its freshness and radiance. 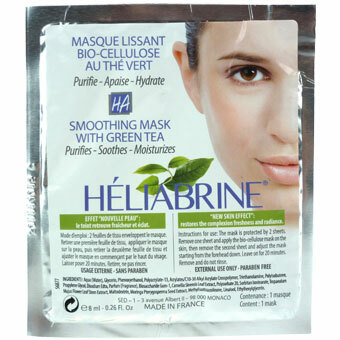 The Heliabrine Bio-Cellulose sheet contains a serum highly concentrated in Green Tea extract selected for its embellishing properties. Leading innovation in biotechnology, Bio-Cellulose is 100% natural and its texture is made of very fine organic fibers which form a protective membrane that fits perfectly to the face. Suitable for sensitive skin.